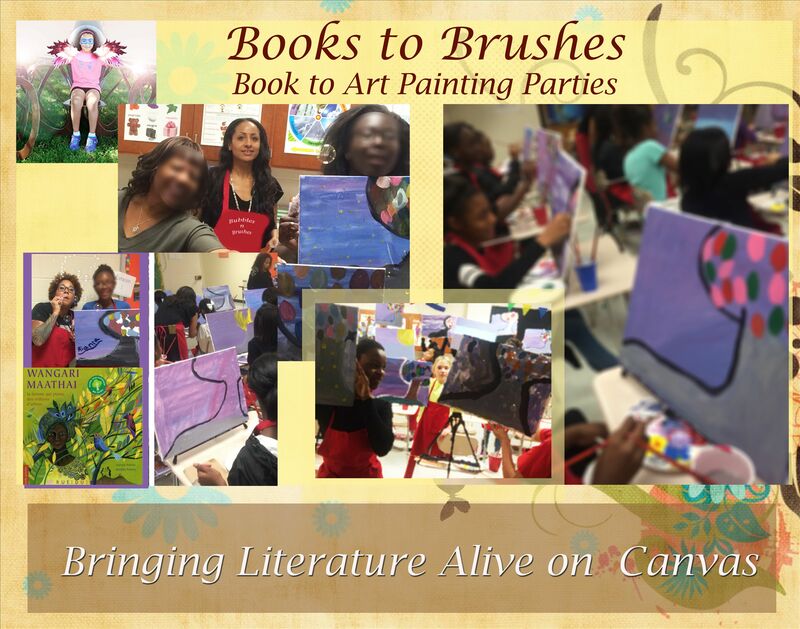 Books to Brushes introduces young people to participatory reading activities, followed by instructor-led painting sessions. Students build literacy skills and knowledge while releasing their inner awesome with each brush stroke. Anike Robinson is the founder and director of Books to Brushes and Peaky Paints. She is currently conducting Books to Brushes programs in Montgomery County Public Schools and DC Public libraries. Peaky Paints, founded in 2010, focuses on face painting and body art. Robinson, a 16 year veteran teacher, holds an M.A. in Education from Johns Hopkins University and a B.A. in History from Spelman College. She has taught 3rd-12th graders in public and private schools in the Washington, DC Metropolitan area and worked with numerous arts and advocacy organizations including Africa Access, TransAfrica, Art All Night and other organizations.